Naseems Charity are pleased to report that we are paying for Rosalie Richards to complete the below project, for her studentship, in conjunction with the University of Liverpool, Walton Neuro and Clatterbridge. In solid tumours such as glioblastoma, cells proliferate faster than the production of new blood vessels needed for tumour cell irrigation. Hence, the centre of the tumour lacks a proper blood supply. The consequence is that the cells experience very low levels of oxygen, a phenomenon called hypoxia. Hypoxia is associated with tumour aggressiveness, metastasis and poor prognosis. In addition, cells cultivated in hypoxia are more resistant to chemotherapy and radiotherapy. It has been well established that hypoxia induces the expression of specific genes, in order for the cells to adapt to this new stressful environment. The new genes will help the cells to reduce their oxygen consumption or will trigger the formation of new blood vessels (a phenomena called angiogenesis) to ensure a sufficient supply of oxygen. In tumours, the new vessel formation is often disorganised and the vessels can be leaky. This results in multiple cycles of hypoxia/re-oxygenation and also in different oxygen levels within a tumour. This has been associated with strong drug resistance. However, this phenomenon has not been well studied at a molecular and cellular level and how it induces drug resistance compared to chronic hypoxia is not known. The aim of this project is to elucidate the molecular mechanisms underlying drug resistance at different oxygen levels and in cyclic hypoxia. We propose to use single cell imaging approaches to specifically understand, which cells become resistant in a tumour and how this is linked to the cellular oxygen environment in time and space. This will be combined with genome wide techniques to elucidate the specific genes involved in the resistance mechanism and elucidate potential new targets that can be used in combination with current chemotherapy. The advantage of hypoxia-induced targets is that they are specific to tumour cells, allowing selective tumour cell targeting. We are very proud to be supporting the work that Rosalie and all her team will be undertaking for brain tumour sufferers. For an update please visit the research project page. Naseem's Charity has recently awarded to £28,000 in grants to help fund two important research projects. 'Clatterbridge your cancer centre' is the only charity that raises funds to directly benefit the patients of Clatterbridge Centre for Oncology, the leading cancer treatment centre for people in Merseyside, Cheshire, Lancashire & the Isle of Man. Every year more than 9,000 new patients are diagnosed with cancer and referred to our doctors for treatment. Dr Brian Haylock, one of our most experienced and accomplished consultants will be working with his team to research Brain Tumours and their treatment. The aim is to develop a network which would allow patients with low grade gliomas to have their operation locally, then provide appropriate samples of clinical information to various research institutions to help develop their research programmes. The money donated will fund a post for Carol Walker who has vast experience in the above for 2.5 days per week to co-ordinate and implement this. We are also supporting a part-time research assistant to work with Carol . Dr Haylock says: "We are so grateful to Naseem's Charity for such a tremendous opportunity. The money donated will allow us to take advantage of a skilled individual, acting as a catalyst to co-ordinate many important research projects we have planned. We expect this project to provide some very important steps forward in brain cancer research." 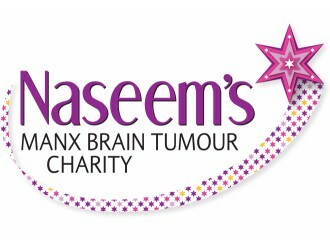 In addition to this Naseem's Charity have given a further sum of £8,000 to Brain Tumour UK. This money will go towards the research programme at the University of Wolverhampton.and in particular the research team which works on gliobastoma multiforme research and also leads paediatric research.